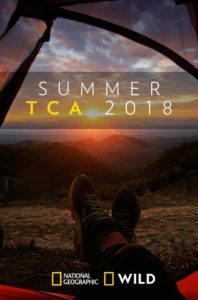 Recently, the Television Critics Association (TCA) held their summer press tour at the Beverly Hilton hotel in Los Angeles. During these press tours, each network presents their upcoming docket of programming to the press. National Geographic Channel has a full slate of new shows along with information on their current shows returning for new seasons. The first of these offerings is The Hot Zone, which is based on the book of the same name written by Richard Preston. This scripted series will tell the story of a U.S. Army veterinarian who puts her own life on the line to stop the spread of Ebola on American soil. The show will be produced by legendary executive producer, Ridley Scott. Nat Geo announced that they have signed on Julianna Margulies (star of ER and The Good Wife) to play the role of Dr. Nancy Jaax. Production on the show will begin this fall with an air date sometime in 2019. The next show announced is the new show Uncharted with Gordon Ramsay. 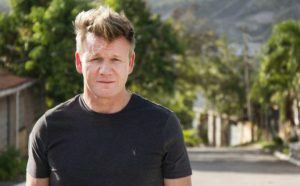 This travel adventure series will star three-star Michelin chef and TV personality Gordon Ramsay (Hells Kitchen, Master Chef, Kitchen Nightmares) as he travels the globe investigating different countries’ food and local cultures. Each episode will culminate with a cooking competition between Ramsey and a local chef. The show will premiere in 2019. Another show that National Geographic introduced is The Curiosity of Jeff Goldblum. 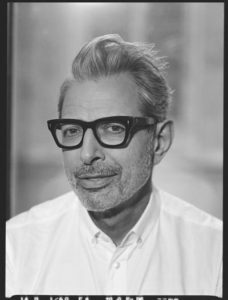 After guest hosting three episodes of the long running Explorer show, actor Jeff Goldblum (Jurassic Park, The Fly and Independence Day) was green lit to host his own show. His series will explore everyday objects around us such as, ice cream, toilet paper or cereal. These items may seem ordinary but when looked at through the lens of science, they appear to be extraordinary. The show will premiere sometime in 2019. Another new offering is Hostile Planet. This show, filmed over an 18-month period on six continents, follows different animals and show viewers how these animals adapt in the harshest of living conditions. 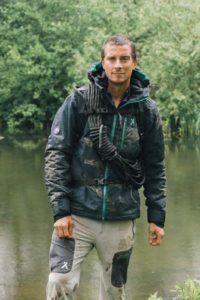 Premiering in the spring of 2019 and hosted by Bear Grylls (Man vs. Wild), the show’s tagline is “Just because there is life, it doesn’t mean the living is easy”. A new documentary movie debuting next month is Science Fair. The documentary tells the story of nine high school students from around the world as they compete for top honors at the International Science Fair. The film was shown at both Sundance and South by Southwest’s film festivals and garnered high praise from critics. One of Nat Geo’s most buzz worthy new shows is Valley of the Boom, a comedic look at the birth of the Internet during the mid ’90s told using three different storylines. The series will combine “re-enactments” along with interviews with people who were actually involved in these events. The first is the infamous “browser wars” between Netscape and Microsoft. This part of the docudrama includes actors Bradley Whitford (The West Wing), Lamorne Morris (New Girl) and John Karna (MTV’s Scream) and includes highlights such as a rap battle. The second part of the miniseries speaks about Pixelon, an Internet company that promised to be a new way to distribute high quality videos. The company was introduced to Americans with a lavish Las Vegas party and a ton of fanfare but was soon found to be a fake company. The founder of the company is Michael Fenne, played by Steve Zahn (That Thing You Do and Dallas Buyers Club). The last part of the miniseries centers on the development of theGlobe.com, a precursor to Facebook. The founders of the website, Stephen Paternot and Todd Krizelman, are played by Dakota Shapiro (The Affair) and Oliver Cooper (Project X and Californication) respectively. The show is directed by Matthew Carnahan and produced by Joel Ehninger and Arianna Huffington. When asked why she decided to get involved in this particular project, Huffington said that she wanted to investigate the beginning of the internet when it was still pure and find a way to take the internet back and making a tool for good. “Valley of the Boom” will premiere in January. Lastly, National Geographic was proud to announce another season of their long running series Explorer. On the air since 1985, the show is the longest running documentary series on cable TV. Episodes next season will include stories on human space travel, “talking trees” in Vancouver, the “Godfather of Gaza” and the smuggling trade in the city, volcanoes in Nicaragua, the boiling river in the Amazon, the global food crisis, the meteorite trade in Morocco, the “Light Raiders” in Tanzania who are bringing solar power to the country, and the legal and security challenges of marijuana for states who legalize the use of the drug. Correspondents Albert Lin, Mariana Van Zeller, Cara Santa Maria, Sal Masekela and host Phil Keoghan travel to world in search of answers to these stories and more. Previous:GUTS Update Available for PC! Console Versions Announced!